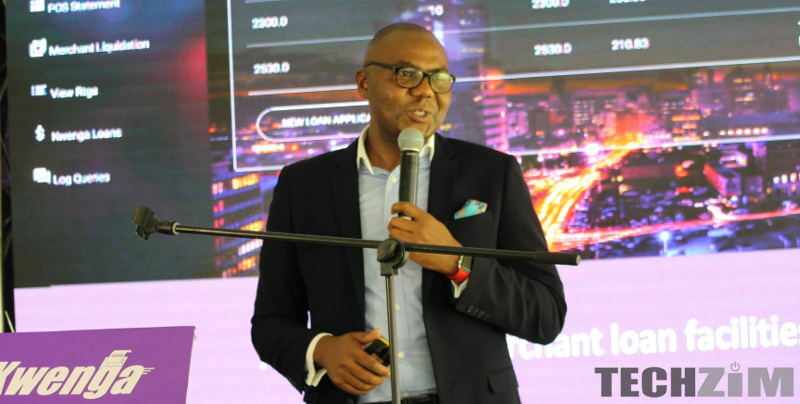 Home » Business » Did Steward Bank Rush The Launch Of Kwenga? We were in attendance when Steward Bank launched Kwenga, an affordable and portable Point of Sale (POS) machine crafted especially for small businesses. There actually are two Kwenga machines, one requires the user to have a smartphone and costs a mere $35. The Kwenga device and the smartphone then connect via Bluetooth. Most Zimbabweans, in the urban areas at least, have smartphones, that Android phone of yours qualifies, so that’s not really a problem. The larger Kwenga device costs $200 and does not require the user to have a smartphone. Up to five people can share a device meaning a user might only have to fork out $7 for the cheaper device if they join forces with others. It was then no surprise when all over the internet praises were showered Steward Bank’s way after the launch. Kwenga is a very good product. So much was the interest however that people wanted the product that very day. People started calling Steward Bank to find out where they could purchase their own Kwengas. People from all over the country wanted to jump on this innovation. Those who did call were left a bit disappointed. Not only were they told that the Kwenga machines were not yet available, there was no definite date given for when that would be. What made it all worse was that the Steward Bank employees themselves did not seem to know much about the product. This was confusing for people because at the launch Steward Bank explicitly said the products were being launched that day, not that they were coming. The impression was that one could get one for themselves not that they should be on the lookout for the products. So Zimbabweans being Zimbabweans, they took to social media to voice their concerns over the launched-but-not-really-launched Kwenga. Now these were people who had gotten their interest roused only to have their hope dashed and so they were not kind in their predictions and proclamations. Some people mentioned the system challenges Steward Bank has faced in the past and wondered if they had been fixed well enough for the system to cope with the increased demand Kwenga would no doubt bring. Valid concerns if you ask me. People have a tendency to be overly sensational on social media so it’s difficult to know exactly what people think. We talked to a few people, a small sample not representative of the whole of Zimbabwe, and the sentiment was made clear – they were not too impressed. The products were good but they were questioning whether Steward Bank could actually deliver. Some people in places like Masvingo were claiming that they were told at Steward Bank branches they would have to travel to Harare get a Kwenga of their own. Today some are saying they were told the device would be ready in four to five days but they haven’t gotten anything yet. At this point it has become harder and harder to tell what is true and what is fake news. I reiterate that some of the concerns were legitimate but this whole situation came from people being given time to stew over the products before they could purchase or try them out themselves. Had the products been available at launch, some of the negativity could have been avoided. It can be said that in some way Steward Bank stole its own thunder. The hype they were supposed to tap into began to die down before they could capitalize on it. One wonders what would have happened if they had waited, say one more week, trained their employees and launched a product that was available to purchase at launch. It is the launch that could have been done better because as you know, launches can make or break products in some cases. The folks over at Steward Bank are progressive thinkers and were probably too eager to launch, a trait not uncommon with forward thinkers. That’s not to say Kwenga is doomed though. I think Kwenga will succeed and we might even get some of the other banks launch their own low cost POS machines. I guess Steward Bank were intent on being first to market with such a product they rushed just a little bit. I do not think any of the other banks are anywhere close to launching their own version, I doubt they were even thinking along those lines. Steward Bank could have waited. What do you think about all this? If you applied for your own, have you received your device yet? If not what were you told about the delay and when can you expect to get the device? lol, leaonard, it is not their idea. Go and check out how ecocash ta works. Yes it is not an original idea and it probably was in consultation with multiple people and organizations. It might be borrowed, adapted or stolen but it doesn’t change the fact that they were the first bank in Zimbabwe to offer such a product. That counts as innovation. Anyway, the issue is that the launch could have been improved upon. Just delaying the launch for a little longer could have worked out excellently. CBZ already has a similar product. Not sure why they haven’t gone all out in the market with it. Probably they have a similar dilemma on availablity of the the devices. Even the GUI (graphical user interface) was not Steve Jobs’ idea, he stole the concept from Xerox PARC. I don’t see a problem in noticing a concept and then improving on it. steward seems to have want to beat product to market. i think they had competition from 1 of the other banks and deccided to become the first to launch even though they have no product. clever. i believe so too. i dont think they didnt have competition at this. They are doing what happened with oyher mobile networks when mobile money was launched. Its a step forward and they were excited yes and steward is indeed forward thinking i still have many concerns though, why are we still working with 3rd devices? give us software only we have devices with us kudara, why not find a way to use my device instead, just the way they did with ecocash. It helps businesses, vendors and other companies especially now that companies are going online. The banks should avoid this whole selling a device business, ma device tinao kudara at least those in urban zim do. Just go outright digital and sell subsciptions kana even 5$ a month, just to maintain the software. Let businesses, individuals and others process credit card payments on one device their own phone. Anyone paying for anything can have their cards processed on that software. And simply charge me for acquiring the software monthly and also transactions. I know you love kwenga @techzim but there is more they can do, let them invest time building a robust software that processes card payments in zimbabwe on smartphones. They can give time and focus on making the system very secure. As we speak the only digital payments processors are Paynow and VPayments which are not very accessible. I know many zimbabweans are not fully using the internet yet to be able to process card payments online. If i was them get the 3rd device out the way. Find a way to get me to use my Android or Apple smartphone device to take payments. for ecommerce 1 can call me and process over the phone i simply enter their card details and its sorted, or they go onto my website and do the same enter their card details and the system processes payment. Or let business take payments via phones at the till. Then maybe to verify that its really me, use an otp code to my mobile number to complete the transaction before submitting it. to avoid theft. Give me the software and i’ll pay then reserve the device for those who definitely dont have access to internet or the right network to run digital bank card payments..maybe like in rural zim. I guess this works better to hit the masses. Very good point . Why not just give us an app makes a lot of sense. You seriously do not know what market segment this product serves. Apps are not a silver bullet for everything. When an organisation “launches” a non-existent product, this is never something to celebrate. They are undoing the good that they’re supposed to gain from the launch. It might mean the product is not yet ready to market or the product has not been fully tested or anything else. From experience, this puts a lot of pressure on the software engineering team and I would like to believe the hardware is actually ready and available. But I could be wrong…. I want my compliments back. Free airtime for the rest of the year sounds about right. The cheaper device is what we initially celebrated. Now it turns out the device comes with an awkward configuration that requires a cellphone and bluetooth connectivity. What? What small business wants to deal with that? Talk about over-hyping a product only to be disappointed by a clumsy launch. I would like to add my 2 cents to this argument. I think with the way technology is going adding more POS like machines is good, but let them reflect the evolving global standards. For instance, there are some wearable tech being developed like rings to facilitate payment by tapping on the POS, does Kwenga accomodate that. In as much as we would want to have more POS on the market, they should meet a certain standard. Secondly, is this Kwenga locally crafted, how much of it Proudly Zimbabwean. In as much as we want Technology, lets work on inhouse innovation. Its good to copy and improve, gives us as a nation some room to work with in terms of developing support structures. Imports kill our economy, we cant always be support people but lets have the manufacture and code aspect. There is a product called Mvendor which is already fully functional and just got RBZ clearance. Should be launching shortly. It will obviously be connected to one of the other banks, not Steward Bank, as they will be competitors. Mvendor is not new. It’s been around for a while. I’m not sure where they have been hiding, but they have been there. First I heard about them it was in relation to selling airtime.